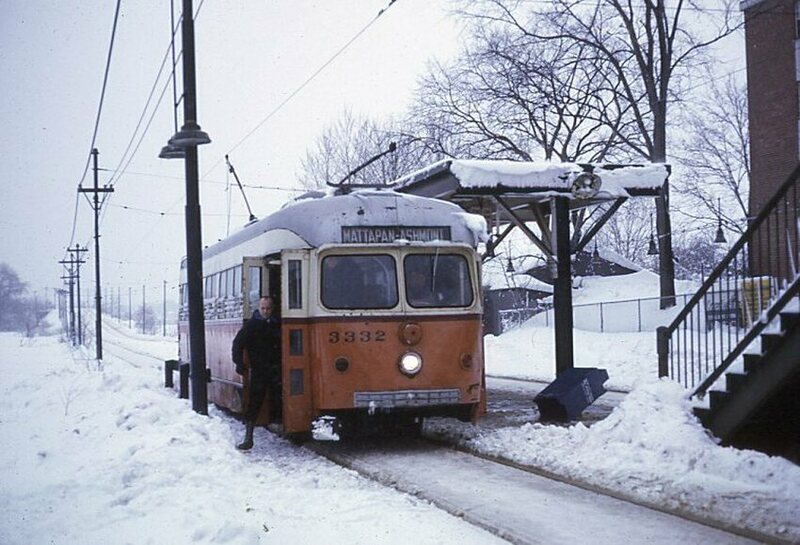 A passenger gingerly alights from Dallas Car PCC #3332 at Butler Street on the Mattapan High Speed Line. Photographed by Ron DeFilippo, February, 1969. Getting off on the wrong side of the train?